Contact Palumbo & Associates, P.C. What to do if given a speeding ticket or other traffic ticket in the German Town Court in Chenango County? The Town of German is located in Chenango County, New York. The German Town Court handles all speeding tickets [NY VTL § 1180], cell phone tickets, failure to yield / move over, lane change tickets, failure to signal, following too close, uninsured, aggravated unlicensed operation, and all other moving violations as well as automobile crimes. The first thing you should if given a ticket in Chenango County, NY is read the ticket carefully. There are detailed instructions to understand so that you do not accidently plead guilty as charged or end up with a license suspension. Time is always of the essence when you receive a speeding ticket in New York. Before you do anything call us right now 24 / 7 for a free consultation on our toll free traffic ticket defense hotline at 1-877-99-No-Tix (1-877-996-6849). Do not wait or ignore the ticket! Failure to timely respond to the ticket will result in a suspension of your New York State driver’s license or NYS driving privileges. In some cases you could be found guilty in absentia. Convictions will trigger insurance premium increases and surcharges in addition to hundreds more in NYS DMV assessments. With our office all of this can be avoided. This can be avoided by contesting your speeding ticket and hiring the right lawyer. Call us now toll free on our traffic ticket defense hotline at 1-877-99-No-Tix (1-877-996-6849). The most common traffic ticket issued in New York State is speeding, NY VTL § 1180. There are huge swings in the fine amounts for speeding. It all depends on the speed and sub section of speed that a motorist is found guilty of, as well as whether there are recent speeding convictions on your driving record. Speeding ticket fines and surcharges range from as little as $138.00 - $2,343.00. There are a lot of ways to fight a speeding or traffic ticket. 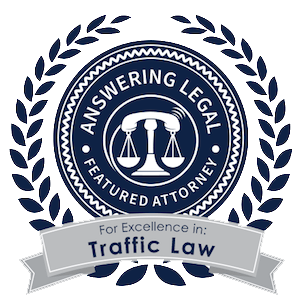 To find out more the easiest thing to do is call us right now 24 / 7 for a free consultation on our toll free traffic ticket defense hotline at 1-877-99-No-Tix (1-877-996-6849). Can a speeding ticket be beaten? Yes, absolutely. However, there are usually better ways to go about fighting a speeding or traffic ticket rather than get it dismissed. We can consult you on all of your options. Call us now toll free on our traffic ticket defense hotline at 1-877-99-No-Tix (1-877-996-6849). What about my driver’s license? My insurance Rates? Speeding ticket and other moving violation convictions can cause your driver’s license to be revoked or suspended. Your insurance can be increased by thousands when you are convicted of a speeding ticket, even just one. However, we can avoid that. Call us now toll free on our traffic ticket defense hotline at 1-877-99-No-Tix (1-877-996-6849) to find out what we can do for you! Save time . . .You will not have to come to court. Save money . . .We offer our service at a level that makes it cheaper the retain us then send it in with a guilty plea. 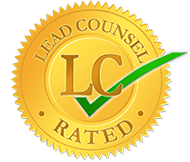 Our law office offers convenience, ease, and certitude of a positive outcome. We will represent you in any court in the State of New York. we get your court appearance waived so you do not have to take time off. We give you piece of mind by giving you a money back guarantee. Call us toll free at 1-877-99-NO-TIX (1-877-996-6849) or e-mail. We need your name, the name of the court, the charge(s), and if a speeding ticket the speed limit and the speed charged. You can e-mail us, scan and e-mail the ticket, or fax it to us at 914-777-2999. Don’t wait, do it today! Copyright © 2018, Palumbo & Associates, P.C.